Is Kevin Durant Now a Better Player Than LeBron James? For the past few years, Kevin Durant has always bowed down to the King. Despite finishing first in scoring for three of the past four years and pacing toward four in the past five, KD has constantly been ranked as the second-best player in the NBA—behind LeBron James—by the media, players and just about everyone. I’ve been second my whole life. I was the second best player in high school. I was the second pick in the draft. I’ve been second in the MVP voting three times. I came in second in the finals. I’m tired of being second. I’m not going to settle for that. I’m done with it. Now, it looks like he has really taken matters into his own hands. He’s posting career-high numbers across the board while leading the Oklahoma City Thunder to a league-best 43-12 record. On the other hand, the Miami Heat are 38-14, good for third-best. And KD is doing this all without superstar teammate Russell Westbrook for most of the season. You know, that guy who ESPN experts ranked as the fifth-best player in the NBA just last year. 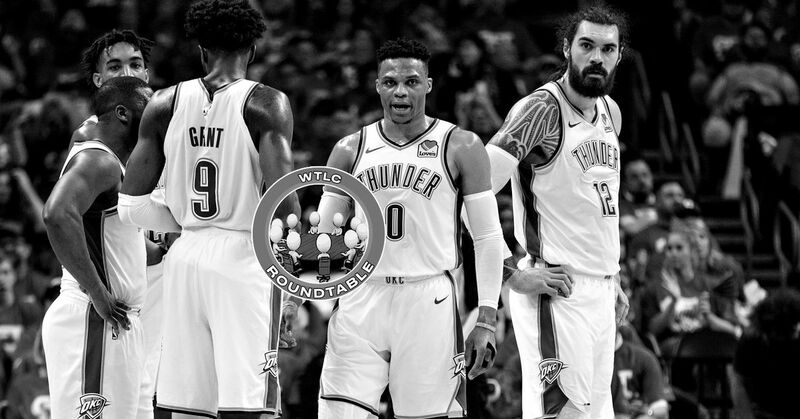 The Thunder are considered by many to be the most likely to win the championship this year, while John Hollinger's playoff odds show James’ Miami Heat are not even projected to make it to the Finals. Durant is also the heavy favorite to win the MVP award this year. And second place? None other than King James. But heading into their teams' matchup in Oklahoma City on Thursday night, has Kevin Durant really surpassed LeBron James as an overall player? Is that even possible? To decide, let’s take a look at their contributions on both sides of the court this season. LeBron James has always been an underrated shooter, and over the last couple of seasons, he has made strides to become a multifaceted scorer. He has the ability to rack up points by bulldozing his way into the hoop with his monstrous strength and speed, or rising up to hit a mid-range jumper. Now, he even has a killer post game and a refined three-point shot, and can rely on all of these things to score when the Heat need him to. James has also redefined the word “efficiency,” shooting an absurd 57.4 percent from the field. But as good as James is at scoring, the King has to take a backseat to Durant in that regard. In fact, the whole league has to. Kevin Durant was just born to put the ball in the hoop. When his teammates ever need him to put on some points, he almost always delivers. And by that, it means him making a crazy amount of shots and scoring 40-plus points. He’s averaging 31.5 points per game on a crazy 51-41-88 shooting split. It doesn’t matter if he’s double-teamed. With his quick release, he can get a shot off at any time, anywhere. Considered one of the league’s best shooters with virtually limitless range, he also is elite at driving to the hoop. There’s a reason why Durant won the scoring title three times already, and why he is on pace to win his fourth this season. Possessing the ability to score everywhere on the court, he’s the greatest pure scorer in the league right now. With the way KD has been shooting the rock, you have to be living under one to think otherwise. Scoring has consistently been Kevin Durant’s strength, but the knack on KD has always been his all-around game. Sure he can shoot, but can he really help the teammates around him better? The stats sure say he does. This year, KD has been averaging a career-high 5.5 assists per game and has really taken a point-forward role in Russell Westbrook’s absence. Being able to score from anywhere on the court draws attention, which frees his teammates to open shots. KD has finally been able to take advantage of this to his team’s advantage, not hesitating to pass to the open man when needed. But James appears to still have Durant beat in this regard, especially when you consider his higher 6.5 assists per game. Yet the stats telling their contributions on and off the court tell a different story on their complete effect on their team. The Thunder are a shocking 3.0 net points per 100 possessions better when Durant is on the court, while the Heat are just 1.2 net points better per 100 possessions when LeBron is playing. Durant also has the highest PER in the league by almost two points, stealing that crown that year by year belonged to King James. LeBron may be a superior passer right now, but from this point forward, KD is soon catching up in his overall game. Here’s one thing that LeBron has to be better than Durant in, right? As the saying goes, LeBron’s a lockdown defender who’s constantly in contention for Defensive Player of the Year, while KD is a scrawny player who doesn’t put forth any effort on defense. Right? Wrong. In fact, that last statement couldn’t be any further from the truth. In recent years, LeBron has held the reputation of being a superior perimeter defender able to guard all five positions. That had been true up until now, but while LeBron has still been an excellent defender this season, he hasn’t been the game-altering one people have expected him to be. Durant, on the other hand, is making his mark defensively. He utilizes his lankiness to his advantage, using his long arms to clog the passing lanes and contest shots. The result is a hefty 1.5 steals and 0.8 blocks per game compared to James’ 1.4 steals and 0.3 blocks. But those numbers just tell one part of the story. Durant stays in front of his man with his great footwork and, much like his quick release when shooting the ball, he can swipe the ball away with his swift hands without gambling. He’s also deceivingly strong for his size and has added a lot more muscle since entering the league when he infamously couldn’t bench 185 pounds. And this season, the individual defensive stats that usually support James’ case are backing up Durant’s defensive aptitude. Who said KD couldn’t hold his own against bigger, stronger players? And yes, that includes LeBron. When Durant guarded LeBron head-to-head when the Thunder defeated the Heat on Jan. 30, KD held him to just 1-of-6 shooting with one assist and two turnovers. Meanwhile, Durant torched James when LBJ tried to guard KD, scoring on 8 of 16 shots with five assists and two turnovers. 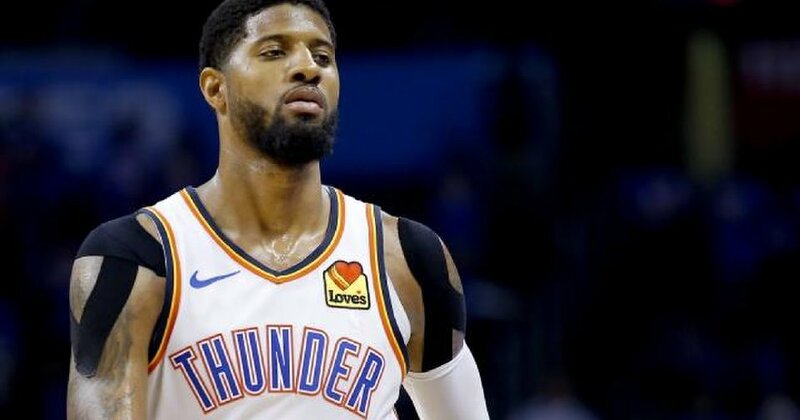 And when Durant spent most of the recent Thunder-Knicks game guarding Carmelo Anthony, the reigning 2012-2013 scoring champion, Anthony could only muster up a mellow 5-of-19 shooting night as the Thunder won. KD is putting up downright elite numbers. No one should expect anything less from such an elite overall player. Durant also has the fortune to have an elite shot-blocker behind him in Serge Ibaka and a superior team defense, but much of their team’s success also has to do with him. Unlike any other year, one can make the case that—this season—Durant has been the better defender over LeBron. This season, it certainly looks like Kevin Durant has been the superior overall player compared to LeBron James. He has always been the better scorer, but now he has developed a complete game in making strides in passing and defense. He has evolved from an individual scoring machine to a team player, and this year, he has outplayed James. 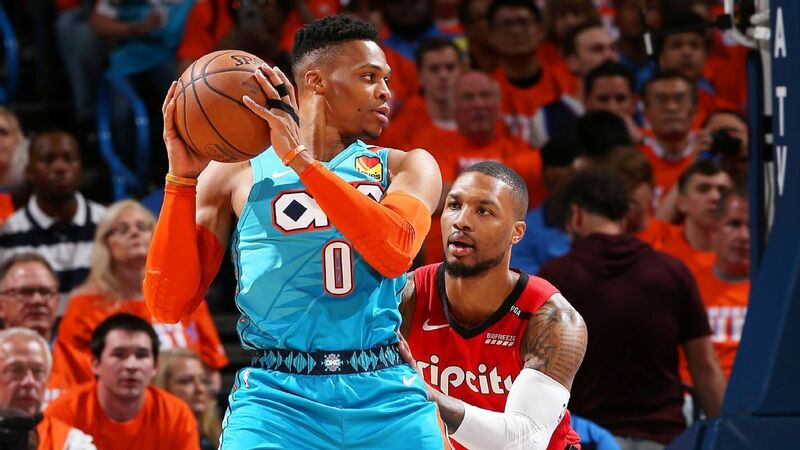 But at the end of the day, what determines if Durant truly is the best player in the NBA is how he plays in the league’s biggest stage: the NBA playoffs. LeBron has won two NBA Finals, including one against KD’s Thunder. If Durant truly wants to establish his dominance as the best basketball player in the planet, he will have to make his mark at where it counts the most. Until then, LeBron still holds the distinction of being the greatest player in the league. But he better watch his back. Because in a few months, the Slim Reaper just may put an end to his reign.